Farmer of Fitzroy Twp. for “70 years” and Graduate KAS 1956 class. Passed away in the Rosamond Unit of the Almonte General Hospital, at the age of 83 years. He was the loving husband for 53 years of Helen (Closs). Son of the late Welland and Mary (Bourk) Gillan. Survived by brother Frank and Arlene, and sister-in-law Maureen (late Art), nieces, nephews and cousins. Saturday, October 6, 2018 at 2 pm. Reception to follow. ​In lieu of flowers donations may be made to the St. Andrew’s United Cemetery. Margarete passed away peacefully on April 4, 2018 in her 97th year. Margarete was a resident of Pakenham, ON. Marg was the beloved wife to the late John Sauermann, and wonderful mother to Hans (the late Joanna), Heyno (Shirley) and Marlene (Kevin). Proud "Oma" of Mandy (Ryan) and their daughter Rosie, as well as Hannah. Loving step-"Oma" to Forde (Marie-Eve), Sean, Beth (Ben) and Paul (Melanie), as well as "Oma Margarete" to Sarah, William, Matthias, Emmanuelle, Mia, Eliza, and Desmond. Donations in memory of Margarete may be made to The Hub or St. Andrew's United Church (Pakenham, ON.). A Memorial Service will be held in St. Andrew's United Church on Saturday, May 5, 2018 at 11 a.m. A lunch/reception will be held in the church hall following the service. "We love you Mum and are so thankful for all you did for us over the years. We miss you and will always hold you in our hearts." It is with great sadness that the family of Kathleen (Kay) Hudson, announce her peaceful passing at Fairview Manor on August 19, 2017 in her 81st year. She was the loving and devoted wife and soulmate of Graham Hudson for 59 years. Kay was the daughter of the late Alex and Leila Snedden of Almonte. She was the proud mother of Bruce (Elizabeth), Brian (Lynn), Steve (Jane), Dale (Angela) and Donna (Bill) Lemon as well as thirteen grandchildren, Leigh, Dana, Kerin, Sandra, Allison, Andrew, Sara, Melissa, Jared, Cameron, Nicholas, Meg and Ben. Pre-deceased by her brother Earle (Marilyn) Snedden, she will be mourned by her brother Sandy (Marion) Snedden, her sister Beth (Brian) Keating of Kentucky and sisters-in-law Gwen (late Allan) Taylor and the late Marion (Trevor) Hawkins. Kay was a teacher by profession first teaching in a one room country school house and later at Walter Zadow Public School until the first of her five children arrived. Kay was an avid gardener and the driving force behind Hudson’s Farm Fresh Produce since the 1970’s. She was also an active and competitive curler and golfer. The family wishes to extend their appreciation to the staff at Fairview Manor for their compassionate care. Long time Cedar Hill farmer. Peacefully at the Ottawa Hospital – Civic Campus on Wednesday morning, December 28th, 2016; Willis Sheldon Stephen Robinson of Cedar Hill passed away at the age of 88. Beloved husband of the late Iris (nee Comba) who predeceased him January 4th, 2016. Dearly loved and proud father of Gayle Doxtater (John) of White Lake and cherished grandfather of Ashley Smithson (Chris) of Toronto. Predeceased by his son, Sheldon. Dear brother of Vera Black (late Albert) of Stittsville and Jennie Munro (late Eddie) of Almonte. Special brother-in-law of Beryl Robinson (late Bryson); Edward Szalay (late Mary); Alvira Jones (late Milo) and Betty Comba (late Thomas). Also survived by many nieces and nephews. Family and friends may pay their respects during visitation at the Pilon Family Funeral Home and Chapel Ltd., 50 John Street North, Arnprior on Friday, January 6th from 2 to 4 and 7 to 9 p.m. only. A Funeral Service will be conducted in St. Andrew’s United Church, Pakenham on Saturday morning, January 7th at 11 o’clock. Rev. Jeff de Jonge officiating, Interment Pakenham Union Cemetery. A reception will then follow in the basement of St. Andrew’s Church. The family wish to extend heartfelt thanks and appreciation to the staff at The Grove Nursing Home in Arnprior as well as the Ottawa Civic Hospital for the excellent care provided to Willis these past few months. In memory of Willis, please consider a donation to Zion United Church, Cedar Hill. John passed away peacefully at home after celebrating with his family the birthdays of two grandchildren. John was the beloved son of Barclay and Maudie (Blewett) Stewart. Loving father to Candace and John Nightingale and Johnny and Sheena Stewart. Cherished grandfather of Paris (Mark), Nicole, Evan, Austin and Abigail. He was predeceased in 2001 by his wonderful wife of 44 years, Gwenyth Kathleen “Kay” Fetterly and son Charles Andrew “Andy” (1999). He was a respected brother of Don (Jean), Betty (Frank), Jim (Mary), Nancy (late Everett) and Glenn. Loving brother in law to Bonnie (Earle) And Bill (Chris), he will also be fondly remembered by many cousins, nieces and nephews. John attended St. Andrews United Church his entire life and continually demonstrated kindness and compassion to all in the church and community. He will be greatly missed by many friends. Peacefully at the Ottawa Hospital General Campus with loved ones by his side on Saturday evening, January 23rd, 2016; Douglas Alan Craig of Pakenham passed away following a brief illness at the age of 58. Dear son of Ann Craig of Carp and of the late Archie Craig (2003). Beloved husband and best friend of Rachel (nee Hass). Cherished and proud “Dad” of Michelle. ​Doug is survived by 2 brothers: Bill and James “Fudd” Craig (Margaret) and 2 sisters: Susan Dubois (Norman) and Cheryl Craig. Dear son-in-law of Verner Hass (May) of Eganville and the late Margaret Hass (nee Schaven). Dear brother-in-law of Verna Attwell (David); Beverly Johnston (Bryan) and Mark Hass. Also survived by nieces, nephews, cousins and lots of friends. Suddenly at home in the early morning hours of Monday, January 11th, 2016; Peter Joseph Nanne of Pakenham passed away peacefully at the age of 56 years. Dear son of Mary Nanne of Pakenham and the late Arie Nanne. 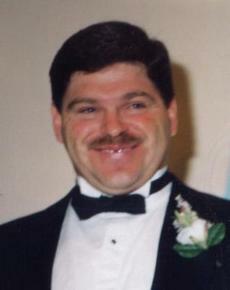 Beloved husband, life partner and best friend of Diana (nee Lackey). 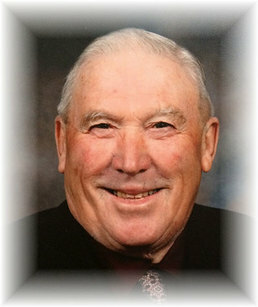 Dearly loved father of Rebecca Kelly (Patrick); Christine Fotherby (Jeffrey) and Robert Nanne (Emily), all of Pakenham. Proud "Grampa" of Olivia, Megan, Pierce, Hollie, Blake, Tobin and Leah. Dear brother of John (Beth) of Pakenham; Rina Nanne of Manotick; Alida Allen (Dave) of Calgary and Elisabeth Munro (Scott) of Vancouver Island. Dear son-in-law of Worley and Audrey Lackey of Prospect and brother-in-law of Raymond Lackey (Dawn) of Newfoundland; Mary Jane Mathieu of Alliston and Stuart Lackey (Cathy) of Almonte. Fondly remembered by his very dear friends, Maggie Smith, Lesa Edwards as well as many other great friends. Also survived by many nieces and nephews as well as cousins in Canada and in Holland. A Service in honour of Peter Nanne was conducted in St. Andrew's United Church, Pakenham on Saturday morning, January 16th, 2016 at 11 o'clock. Peacefully at the Carleton Place and District Memorial Hospital while surrounded by loved ones on Monday morning, January 4, 2016; Iris Lillian Robinson of Cedar Hill passed away following a brief but courageous struggle through cancer. She was 85. Beloved wife and best friend for over 64 years of Willis. Dearly loved mother of Gayle Doxtater (John) of White Lake. Predeceased by an infant son, Sheldon Stephen. Cherished "Grandma" of Ashley Smithson (Chris) of Toronto. Loved sister of Mary Szalay (Edward) of New Jersey and Alvira Jones (late Milo) of White Lake. Dear sister-in-law of Jennie Munro (late Eddie); Vera Black (late Albert) and Beryl Robinson (late Bryson). Also survived by many nieces and nephews. Predeceased by her parents: John and Bella (Jones) Comba as well as siblings: Phyllis Fraser (late Andy); Margaret Millar (late Clifford); Hilda Jones (late Milo); Russell Comba and Thomas Comba (Betty of Renfrew). Iris will be lovingly remembered for her love of family, community and friends. Passed away peacefully with family by her side Thursday December 17, 2015 at the Arnprior & District Memorial Hospital. Verna Aileen of Pakenham, at the age of 83 years. Cherished wife of the late Dudley Humphries (1988). Beloved mother of Valerie (Stephen Black) of Arnprior and Beverly Humphries of Pakenham. Predeceased by her infant daughter Carol Marie. Will be sadly missed by her grandchildren Megan (Joey) Mosseau, Blair (Kaitlin) McCulloch. Will also be missed by her great grandchildren Willow and Jacob. And her sister Beryl (late Bryson) Robinson of Arnprior. Daughter of the late Russell McNeil and Adella Beach. Peacefully at Almonte on Tuesday morning, November 3, 2015 in his 82nd year. Eldest son of the late Welland and Mary (nee Bourk) Gillan. Beloved husband and best friend of Maureen (nee Biggs) for over 56 years. Dearly loved father of Mason (Joan). Predeceased by 2 sons: Jim and Shane. Dear brother of Ted (Helen) and Frank (Arlene). Proud "Grandpa" of Jennifer Gardner (Matt), Ritchie Gillan (Margaret McLean), Shannon Gillan and Mitchell Gillan (Erin) and great- grandfather of 3. Fondly remembered brother-in- law of Rene Biggs (late Everett); Marjorie Clement (late George), Evelyn Matthews (Norman) and Reg Biggs (Amy). Also survived by 2 special aunts, Mary Scott and Edna Armstrong as well as many cousins, nieces and nephews. Art loved agriculture and farming with his family over the years. He was always looking for new ways to improve farming practices. Art was a proud graduate of Kemptville College, year 1954. Over the years, Art served as president of the Lanark County Junior Farmers; a 4-H leader; a director on the Ontario Soil & Crop Association; a director on the Advisory Board at Kemptville College as well as a director on the Ontario Agricultural Hall of Fame. Art also loved antique tractors, curling and travelling, and was a long standing member of St. Andrew's United Church, Pakenham. Passed away peacefully in the Almonte Fairview Manor Monday November 2, 2015. Bill Dickson of Pakenham in his 88th year. Beloved husband of the late Patricia Dickson (nee Green) (2010). Dear father of Lynn Dickson (Brian), David (Tricia) Dickson and Andrew (Alison) Dickson. Dear grandfather of Zachary Wilson (Chloe) and Jenna, Kristen, William, Brock, and Shea Dickson. Special friend of Billy and Monika. Predeceased by his parents William and Helen (Gillies) Dickson and his brother John Gillies Dickson (late Gwen). Passed away as a result of a farming accident in the Ottawa General Hospital Friday June 19, 2015 at the age of 22. Beloved son of Jeffrey and Lucie Duncan of Pakenham. Cherished grandson of Dave and Dorothy Duncan and Denise Loranger (late Albert). Much loved brother of Jennifer Duncan. Will be missed by his partner and best friend Chelsea-Ann Noel and her parents Wade Noel and Micheline Leger. Christopher will also be missed by many aunts, uncles and cousins. Peacefully in hospital, Carleton Place, Ontario on Saturday, June 13, 2015, in his 86th year. Loving husband and best friend of Helen (nee Jordan) for 59 years. Cherished father of Barb Lee (Dan), Evelyn Campbell (Reg), Joan Gillan (Mason), and the late Bob Rintoul (Cathy-surviving). Fondly remembered by 9 grandchildren and 8 great-grandchildren. Dear brother of Elsie McKnight (late Bill), Bill (Edith Ford), Archie (Betty), Leslie (Lea), Don (Fran), Laurie (Eleanor) and Ruth Rintoul (Guy Boulanger). Remembered by numerous nieces and nephews. A heartfelt thank you to the Doctors, Nurses and Staff of the Carleton Place and District Memorial Hospital. 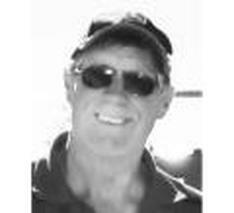 Peacefully, after a short illness at the Carleton Place Hospital, on Thursday December 5, 2013 at the age of 56. Loving husband of Cathy MacFarlane. Proud and loving father of Jamie. Dear son of Kelvin and Helen Rintoul. Dear brother of Evelyn (Reggie Campbell), Barbara (Dan Lee) and Joan (Mason Gillan). Bob will be missed by his mother-in-law Helen MacFarlane, his sister-in-law Nancy (Ken Hedderson), extended family and many friends. Predeceased by his father-in-law Don MacFarlane. 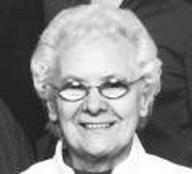 The Paige family announces with sadness the passing of Mary Paige, formerly of Pakenham, on March 26, 2015 at Fairview Manor at the age of 97. Born Mary Rose Nicholson on December 15, 1917 in Kilmuir, Prince Edward Island, she was the daughter of the late Daniel J. Nicholson (1920) and the late Flora Rose (1975). Mary was predeceased by her husband Bert (1975), daughter Dawn (1975), son Daniel E (2012), and two brothers: Daniel J. (killed in action in 1944) and Homer (1965). She is the dearly loved mother of Ian (Janet Rintoul), Jane (Stewart Barr), Margie (Ritchie Argue), and Sandra (Francis Fuca); the proud grandmother of Rodney Barr (Samantha), Cindy Hartwick (Troy), Emily Paige (Daniel Gies), Daniel M. Paige (Carly Leithead), Paige Wattie (Jared), Gillian Argue, and Grace Badham (Andrew); and she is survived by her 10 wonderful great- grandchildren. Mary is also fondly remembered by Alice Puddington; niece and nephews: Janice, Frankie and Jamie, in Kitchener; and sister-in-law, Nancy Paige, in California. At the age of eighteen, Mary was teaching at a one-room school at Albion, PEI (many grades in one room was no doubt valuable preparation for rearing six kids and welcoming all their pals). Throughout her life she cherished her Island roots, often returning to see family and friends. During the war, she was hired by the Bank of Montreal in Charlottetown to fill a vacancy left when her brother Dan enlisted in the army never to return. On a blind date in 1943, Mary met Bertram Courtney Paige, an RCAF officer from Bridgeport, Ontario who was training in Summerside. Before Bert returned overseas, they were wed in 1944 in Alberta where he had been stationed. Bert and Mary lived in Kitchener, Waterloo and Gowanstown prior to moving to Pakenham in 1965. Mary was a quiet, private person who deeply valued her friendships with dear neighbours in Pakenham, as well as those formed while working as the bookkeeper in the early days of the Centennial Restaurant. She treasured the time spent as a life member of the Women's Institute, as a member of St. Andrew's United Church and the UCW, as a volunteer at the library, and at the card table playing bridge. Heartfelt thanks to the dedicated staff at Fairview Manor for their compassionate care. Jack passed away peacefully after a lengthy illness at the Almonte General Hospital on December 7, 2014. in his 90th year. Devoted husband to the late Marjorie (nee Herbert). Predeceased by his parents Allan and Florence (nee Scott) and his sister Margaret Cochran. Fondly remembered by his niece and nephew Dorothy Jackson (Dennis) and Allan Cochran (Sharron). Cousin to David Wilson (Hélène) and their daughters Julie and Janet. Special thanks to the staff at Island View Suites in Arnprior, Dr. Turcotte and staff at the Almonte General Hospital. John Moore of Almonte, Ontario and Stanstead, Quebec, died on Thursday, November 27, 2014 held in the love of his family and friends. Beloved husband and best friend of the late Dorothy Moore (nee Gruer). Cherished dad and father-in-law to Beth Moore, Dan and Judy Moore, Debbie and John Roi, Stephen and Grace Moore. Much loved Grandpa to Eric and Shaun Pepper, Jonathan, Adam and Amanda Roi, Aidan and Cole Moore. John was a treasured friend of many. John’s family extend their heartfelt love and gratitude to the entire staff on Maple Grove, Fairview Manor, to the staff on the Rosamond Unit, Almonte General Hospital and to Dr. Graeme McKillop. Ruth passed away peacefully in her home on September 27, 2014 surrounded by her family. Ruth was born to the late Palmer and Catherine (Whyte) Wilson on March 5, 1939 in Pakenham, Ontario. Upon graduation from Arnprior and District High School, Ruth successfully completed training and written examinations set by the Canadian Society of Radiological Technicians. Ruth married Robert John Arthur Blewett in July of 1963 and they lived together in Elliot Lake, Ontario. There, she was hired by St. Joseph’s General Hospital where she worked in the X-Ray Department for close to 30 years. Ruth was an active member of Holy Trinity United Church in Elliot Lake where she sang beautifully in the choir and served in the UCW, among other endeavours. Over the course of 50 years she volunteered with a number of organizations in the city, including the Nuclear Figure Skating Club and the Horticultural Society. She always rose early so to enjoy the stillness of the morning with a fresh cup of coffee. She was an excellent cook and an even better baker. She made the best butter tarts in the world and took great pleasure in entertaining in her home. She was a voracious reader, who loved to work at crossword puzzles and tend to her garden. Above all, Ruth was a loving wife, mother, mother-in-law and grandmother, and beloved friend to a great many people. Ruth is survived by her husband Robert; son David (Toronto); daughter, Cathy, husband, Fraser Gartside and granddaughter Lily Mastewal Blewett-Gartside (Toronto); brother David Wilson and wife, Helene (Pakenham). She is also survived by in-laws on the Blewett side of the family along with many niece and nephews. The Blewett Family would like to thank Dr. Dave Matheson, Reverend Bob Gardner and the staff and volunteers with the Community Care Access Centre, Bayshore Home Health, We Care Home Health and the Elliot Lake Palliative Care Program. As well, thank you to the many people who delivered meals and food to the Blewett home and to the dozens of those who sent words of hope and prayer.